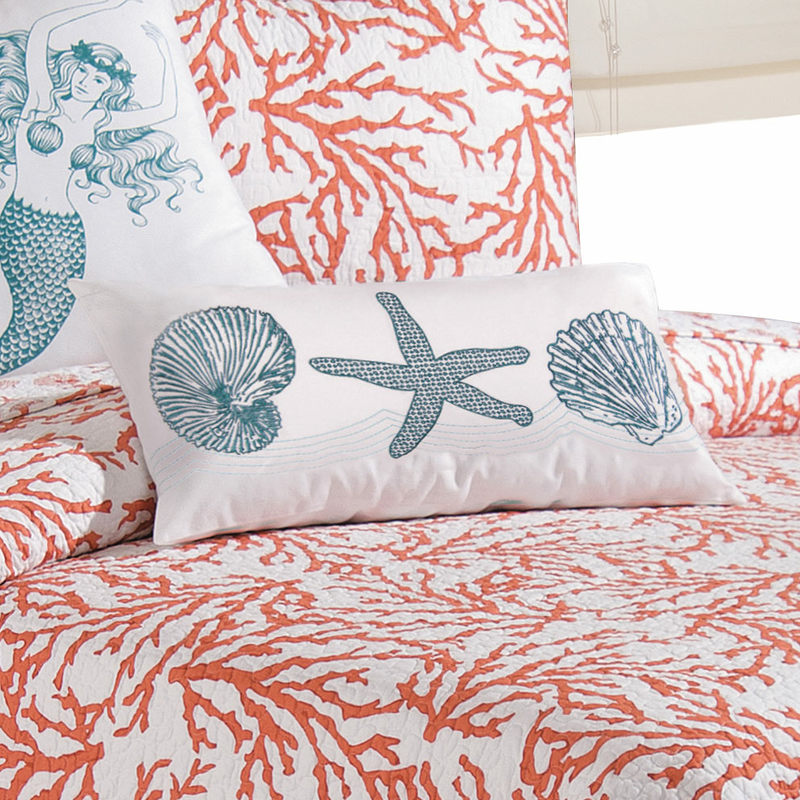 The Coral Reef Blue Embroidered Shells Pillow has embroidered nautilus, starfish and scallop shells on white 100% cotton. Poly fill. Spot clean. Measures 12"W x 24"L. ~ Ships from the manufacturer. Allow 1 to 2 weeks. Cannot express ship.